A contemporary dance class for students. Rebecca’s class blends contemporary dance technique, improvisation and choreography, creating a class that never stops moving. Class begins with simple exercises to get warm, building into a technical portion and transitioning into a creative space with improvisation. Class ends with a combination that is full bodied, moves through space, is complex, and fun. Rebecca Margolick is a choreographer and dance artist born in Canada and based in Brooklyn, NY. She was a company member of Sidra Bell Dance New York from 2012-2016. Freelancing, she dances for Chuck Wilt/UNA Projects, Patricia Norowol Dance Theater and Maya Orchin. Rebecca has performed in Jerome Bel’s world renowned piece ‘The Show Must Go On’ at the Joyce Theater, and has worked with Lileana Blain-Cruz, Chris Devita, Kayla Farrish, Derrick Belcham & Emily Terndrup, Shay Kuebler, Ashley Robicheaux, Donald Sales, Barak Marshall and Aszure Barton among others. This June, Rebecca guest performed with the podcast ‘Israel Story’ for their 68 and Counting show at Brandeis University. She is currently in the process of beginning a new choreographic collaboration with Montreal based artist Andrea Peña. Rebecca was a 2015/16 LABA Fellow at the 14th St Y with her co-director and partner Maxx Berkowitz, where they developed the multi-disciplinary work 'birds sing a pretty song' that premiered at the 14th st Y Theater in New York City and Chutzpah!PLUS Festival in Vancouver in May 2017. 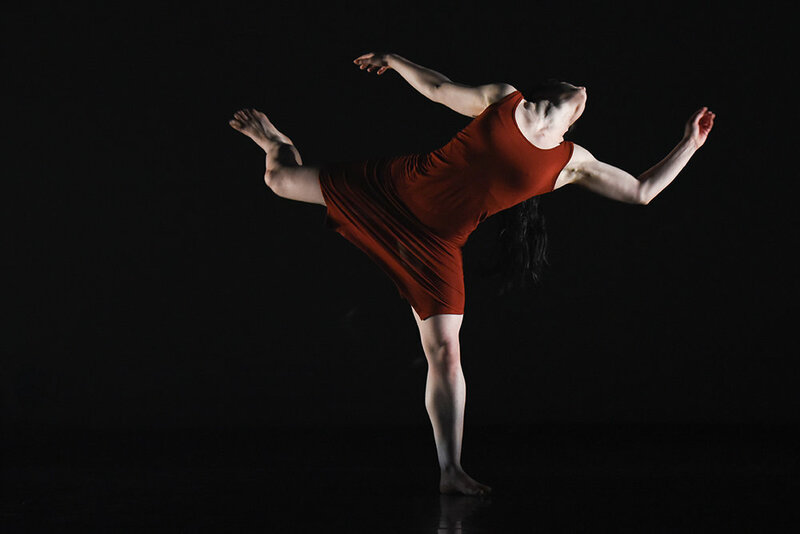 Rebecca was selected for a three week residency at Derida Dance Center in Sofia, Bulgaria, where she created a new solo titled ‘Ministry.’ The project was supported by the Global Practice Sharing program of Movement Research with funding from the Trust for Mutual Understanding. She is currently co-choreographing and performing alongside Jesse Zarrit in the multidisciplinary work 'Salome:Woman of Valor' created by world renowned artists, musician Frank London (The Klezmatics) and poet Adeena Karasick. Rebecca was an assistant lecturer at UArts in Philadelphia co-directing the Sophomore Performance and Coaching Project alongside Sidra Bell. She has guest taught at Derida Dance Center (three week workshop), SFU, Rutgers, The Ailey School, Tanz Farm Atlanta, NYU Tisch, Arts Umbrella, and Carmina Slovenica. Rebecca trained at Arts Umbrella in Vancouver, and graduated with an Honours B.F.A. from New York University’s Tisch School of the Arts, winning the J.S Seidman Award upon graduation. Monday, July 30, 7pm: Student Welcome Reception, IMA Gallery (2323 Pooley Street) – Meet your instructor and pick up your student information packages. The ArtsWells Festival Of All Things Art runs from Friday, August 3 – Monday, August 6, 2018 and features over 100 musical acts on 12 stages throughout Wells and Barkerville. See www.artswells.com for details. Consider sticking around after your workshop! Workshop participants save 50% on an ArtsWells Weekend Pass!